2/2009: The site received a Certificate of Eligibility for the National Register in December 2008. The adaptive use plan for the site is to restore the TISCO office into an extension of the High Bridge borough library for meeting spaces and archiving, as well as borough administrative offices. Shop E will be restored into the new (and first) town community center. The Union Forge Heritage Association (UFHA) has also been working closely with a local contractor for restoration assessments. Funding is coming in for emergency stabilization of the roof, with plans to get the building water tight within a month. The UFHA is seeking restoration funds through private donations, corporate sponsorship, and Foundations. Matching grant opportunities are currently not possible as the borough, although interested in saving the structure, is not financially capable of assisting. The UFHA is working voluntarily to make this worthwhile project a success. 3/2009: UFHA continues to seek funds for the stabilization of the roof of the TISCO Office Building. Rain water intrusion has damaged the building’s interior. In February 2009, UFHA members met with carpenter Mike Braddee of Braddee Construction, as well as the High Bridge Fire Department and High Bridge Department of Public Works, to get access to the roof and assess the damage. UFHA continues to work actively to save the complex from demolition by neglect, but as the town still, does not have any funds available to help with the effort, expanded support and awareness remain much needed. 8/2010: High Bridge has received a New Jersey Historic Trust grant for the restoration of the TISCO office building’s roof. Work is scheduled to begin in three weeks. The stone building was originally 2 ½ stories tall with five bays. After three bays were added to one side, the entire structure was raised to three stories, probably in the 20th century. The building’s stone is large and square cut. The windows have segmental arched heads and the front door is framed by a stone arch and fanlight. The building is capped by a bracketed cornice and a partly damaged slate roof. The windows are boarded, and while the stone walls appear to be in good condition rainwater is entering the building, to its detriment. Shop E is a small steel and concrete factory in relatively stable condition, though it is beginning to show signs of neglect. Its central two-story-high space is flanked by one story sections on each side. The taller section is capped by a low-slope pitched roof, while the one-story sections have shed roofs. The Borough of High Bridge purchased the site with state and local grants in order to preserve it, but now has no resources available to stabilize and restore the buildings. No groups oppose the preservation of the complex if it does not lead to higher local taxes, but while several possible uses have been discussed, there are currently no viable plans for adaptive reuse of the property. PNJ hopes that identifying the TISCO complex as an endangered site of statewide significance will re-energize local efforts to save these buildings. They require prompt, not overwhelmingly expensive, repairs to the roofs and building envelopes to prevent further deterioration while new uses are studied and funds raised for rehabilitation. 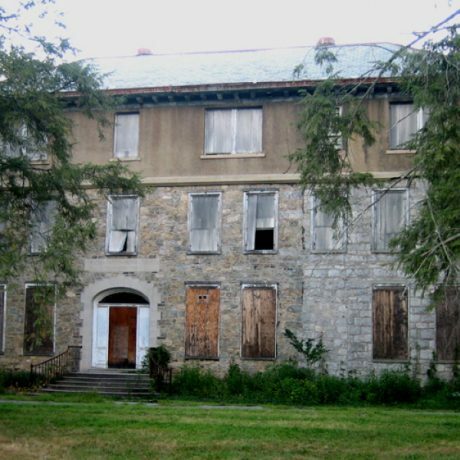 At a minimum, the site should be nominated for inclusion in the New Jersey and National Registers of Historic Places.